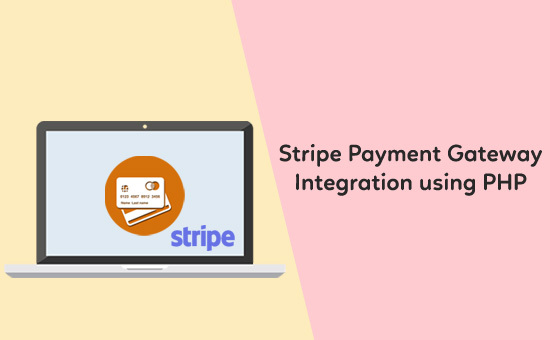 In this article, we are going to see about implementing Stripe payment gateway and how to integrate using PHP. In a previous tutorial, we have seen an example of integrating PayPal payment gateway with PHP. By referring to this linked article, you can easily get the idea about the payment flow. Create a Stripe account and login to the dashboard. Navigate through the Developers -> API keys menu to get the API keys. There is two type of standard API keys named secret key and publishable key. The secret key will be masked by default which has to be revealed by clicking reveal key token control explicitly. 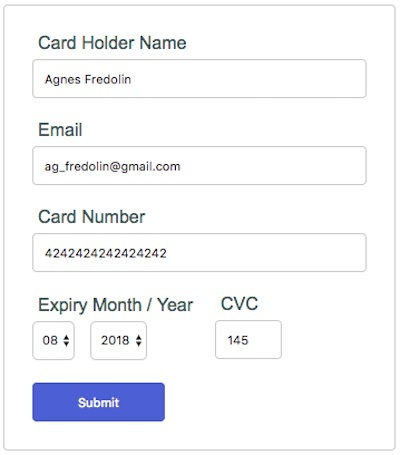 In this article, I have added a demo by showing this payment form with test card numbers. You can find more test data in the Stripe API testing documentation. You can use the test card numbers to demonstrate Stripe payment integration. This screenshot shows the fields required to be in the Stripe payment form to get data from the user for processing payment.